An Auckland rugby club that showed the historic Samoa / All Blacks rugby game to hundreds of fans has fallen foul of Sky Sport. The Otahuhu Rugby Club said it had been told by Sky it was wrong to show the game on the big screen at its club house. Head of the club John Roache said he used his own personal Sky decoder to show the game. He said he had been told by Sky that the broadcaster would stop further action against the club if it signed up to a 12-month contract, at about $300 a month. Mr Roache said he would have to take the issue to club officials. "At the end of the day if we've got to have the Sky up there then we must sign it, we'll have to, there's no two ways about it." Mr Roache said it was the first time the club had shown a screening like this, and it was trying to help the community. Sky Television said it would not be taking further action against the Otahuhu Rugby Club and that it was speaking with it about the rules for commercial subscriptions. 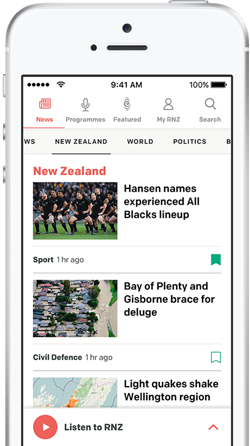 @rnz_news 1/2 To clarify - we won’t be taking any further action and have talked to the club about the rules for commercial subscriptions. 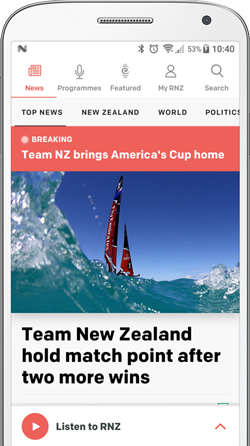 @rnz_news 2/2 We aren’t insisting they take a subscription, but would love it if they did. The New Zealand All Blacks have beaten Samoa 25-16 in their first ever rugby test in Apia. The All Blacks have overcome the heat and a spirited home side to beat Manu Samoa 25-16 in today's historic rugby test match in Apia.